Shine a spotlight on the V-Neck Tank Leotard. Made of a Meryl® nylon and spandex blend that is soft and resilient. Features a V-neck and open back with bold criss-cross straps. Mesh is strategically placed to add stylized ventilaion. 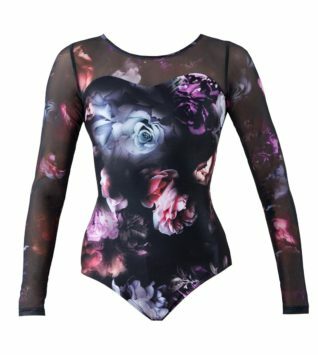 You’re bound to garner attention in this leo.